If you are using Photoshop to create an image having transparency effects and spot colours, then better use Illustrator instead. For example, you are trying to create a logo with some transparency effects. Suppose the effect you are trying to create is a glass sphere, like a marble. By using Photoshop, you will have trouble to keep the logo in spot colours to get the desired result. This is because of the transparent effects. The colours were getting converted to process. So it is more difficult to work with spot colours, especially in Photoshop. 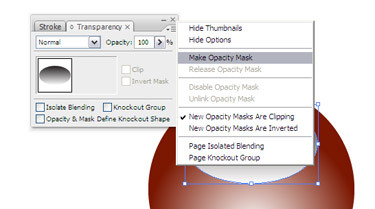 The secret is to use Illustrator’s Opacity Mask. This way you can preserve the spot colour. Draw a circle and fill it with a spot colour (Figure 1). Modify the fill so that it uses a gradient. Set the gradient to go from 55% of the spot colour to 100% of the spot colour, Make adjustments to the colour stops and midpoint slider to get the desired effect. Use a Radial Gradient. 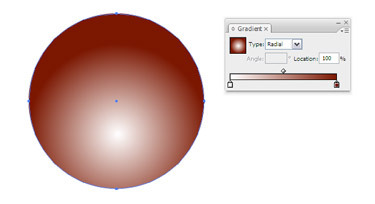 Then pick the Gradient tool to offset the centre of the gradient so that the centre point is closer towards the bottom of the circle (Figure 2). Create an oval shape (as a highlight for the reflection) and fill it with a black to white gradient. Take the same black to white gradient and draw a plain white-filled rectangle behind the oval shape. Select the oval and choose Effect > Stylize > Feather and give it a bit of a soft edge. 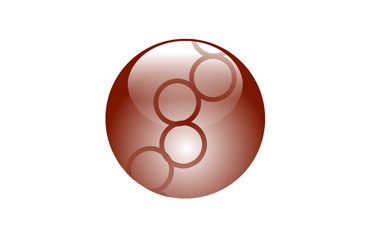 Then choose the oval shape and the white rectangle behind it and open the Transparency palette. 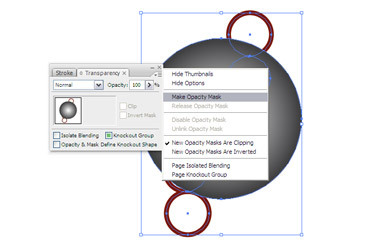 From the flyout menu choose Make Opacity Mask (Figure 3). 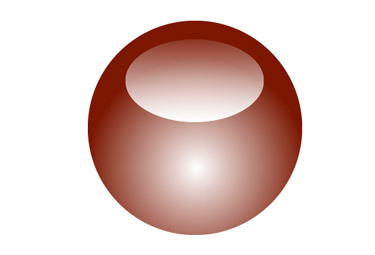 The gradient’s luminosity values have became a mask for the white rectangle, and thus creating a light reflection on the underlying circle (Figure 4). Because we used the opacity mask, the spot colour is preserved and will separate correctly. There’s always something you can see in a reflection, right? So, if you want the image to look more realistic use some random art and colour it 100% with the same spot colour (Figure 5). You can also use a photograph and colour it with the spot colour. Here, I have used a vector shape because I wanted to make the logo scalable to any size. Created another circle and fill it with a black to white gradient. 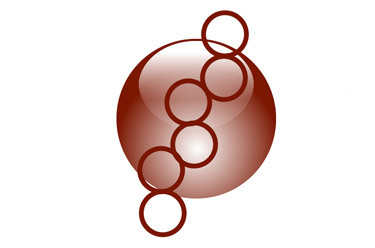 Choose both the squiggly art and the gradient-filled circle (Figure 6) and again created another opacity mask. Set the squiggly art to the Multiply blend mode and change the opacity to 15%. This creates the look that something is reflecting from the shiny glass marble. Finally, add a soft shadow (Figure 7).